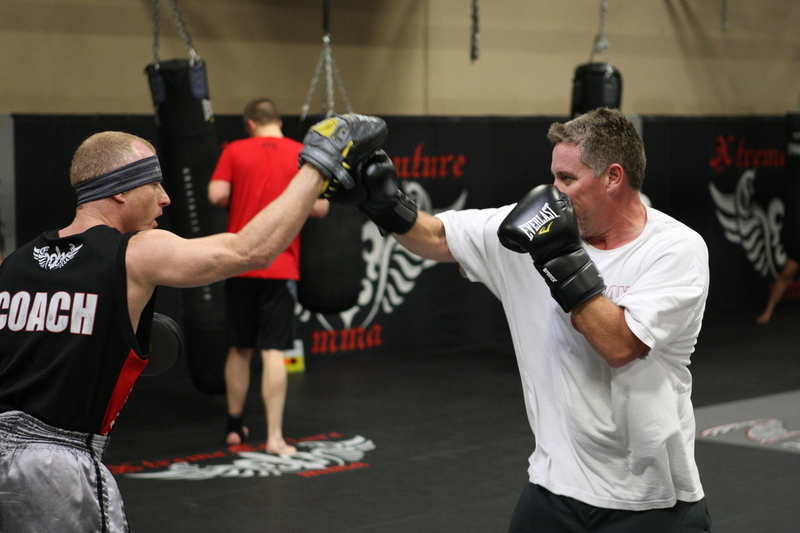 Coach Tim Lane heads the boxing and kickboxing classes at Xtreme Couture here in Las Vegas, NV. He is a former world champion in the sport of kickboxing, having earned that accolade in 2002. The path to greatness, however, was not always endearing. Lane moved from his home in Virginia to New York City to pursue his dream of fighting at age 26, with next to nothing in his name. As an up-and-coming-fighter, Tim would spend sleepless nights looking for shelter behind the gym he trained at, just so he could be one of the first ones in the door in the morning. The hard work and dedication paid off in 2001, when Tim won his first international title over English champion Gary Wilson, via body shot, in Times Square, NY. The following year, “Bring the Pain” won his world USKBA title via fourth-round knockout of Marco “Baby Face” Siez, again by body shot. Striking has long been a staple in Lane’s career, but what most don’t know is that Lane originally got his start in Martial Arts by enrolling in Judo classes. Not only is he a world-renowned stand-up coach, he is also well-versed in other aspects of Mixed Martial Arts. I have been watching Tim Lane coach at Xtreme Couture for three years now and I have never seen anybody interact better with people. Be it adult students or kids Tim is the man! He makes it fun while teaching crucial fighting techniques and keeps his students totally engaged with his knowledge and skill. 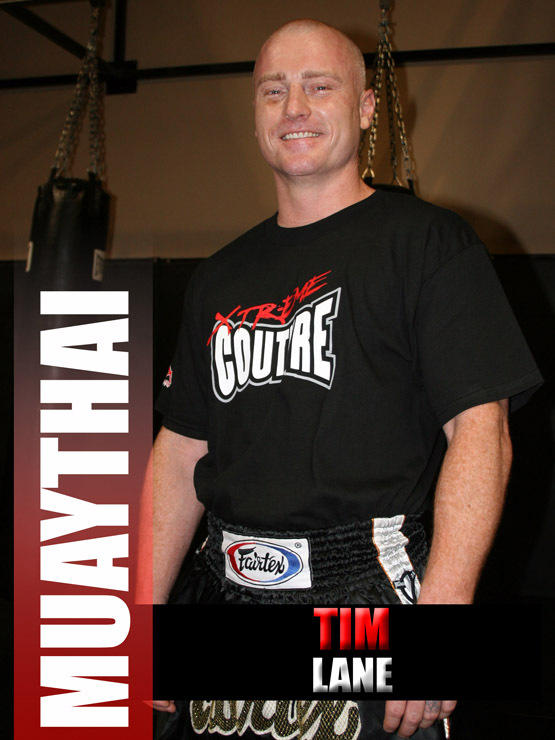 I would recommend to anybody who wanted to learn any aspect of mixed martial arts to train with Tim bring the pain Lane. A true champion. Keep up the great work Tim! when is he going to let Algieri out of his cage?